We, the members of the Thai Alliance for Human Rights, a US-based alliance of mostly Thais, are writing to you once again about one of Thailand’s many lese majesty victims. Natthida “Waen” Meewangpa, who is about 40 years old and the mother of two children, has been in jail for three years, and four months, on extremely dubious charges. Her case has been prioritized over about 100 other lese majesty prisoners because a little over a month ago she began to show signs of mental and physical breakdown, including hemianaesthesia (lose of sensation in half of her body), despondency, and hallucinations. The hallucinations could mean she is losing her grip on reality because of the stress of her unjust incarceration and separation from her children, or it could mean that she is being drugged to make her passive. She begged to be bailed out, and because Thai activists were worried for her life (it is not unusual for lese majesty victims to die in jail or to attempt suicide), her bail of about $27,000 was quickly raised in a social media campaign that involved the famous pro-democracy activist Nuttaa “Bow” Mahattana. However, when the activists went to court to pay her bail and free her, they were denied. We believe the charges are an attempt to silence her calls for justice for 6 people shot dead on the grounds of Wat Prathum, Bangkok, May 19, 2010, during a government crackdown on “Red Shirt” protesters. Waen, who is a nurse, had been in the temple for hours treating the wounded brought in from outside when around 6:00pm shots were fired into the temple from the tracks of a Skytrain above the temple grounds. She became the main witness at the investigation into the incident, testifying against the military. Waen was forcibly disappeared on March 11, 2015, and taken to a military facility for interrogation. Her phone was, of course immediately confiscated. She says she was beaten and threatened to stop her campaign for justice for the 6 victims of the temple shooting. After the week-long interrogation, she was charged with conspiracy to commit terrorism. She spent more than a year in jail before she was bailed out. But she never even made it home to see her kids because on the way home, she was re-arrested for lese majesty, specifically sending an insulting message about King Bhumibol. It is barbaric that anyone would go to jail for sending an insulting message about royalty. 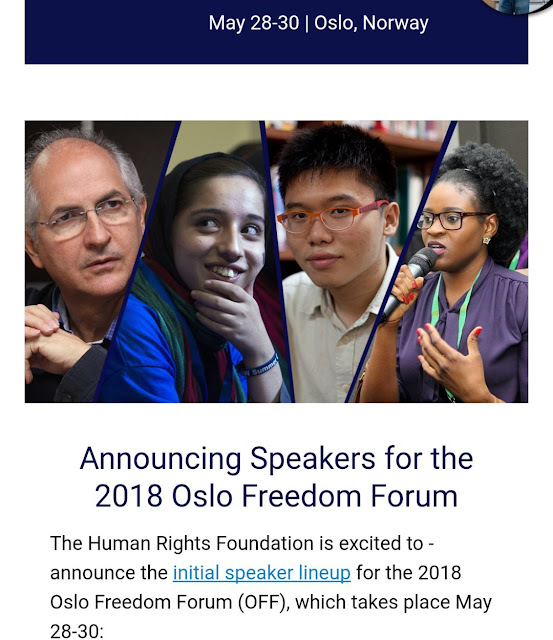 People have the “right to freedom of opinion and expression . . . to hold opinions without interference and to seek, receive and impart information and ideas through any media and regardless of frontiers.” (Article 19 of the UN Declaration of Human Rights) and this freedom extends to the right to criticize a head of state, as recently reiterated by UN experts David Kaye and Michel Forst. However in Waen’s case, these arguments are beside the point, because the message she stands accused of sending was sent 6 days into her interrogation, at which point SHE DID NOT HAVE A PHONE. It had already been taken away by the officials who now accuse her of sending it! Please convey our concerns to the proper authorities. 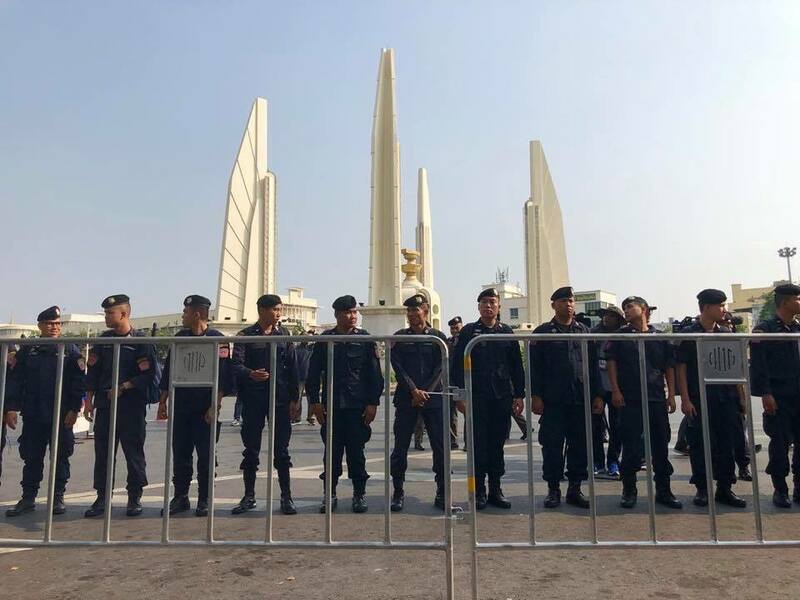 The Thai Alliance for Human Rights has called attention to the abuse of Thai soldiers and suggested their lives would be valued and their rights better protected if service was voluntary rather than forced by the draft. Now I find, this shocking detail from an article last year: A "former advisor to a parliamentary anti-corruption committee, told the media that the military conscription system in Thailand is in crisis.. . . it is riddled with corruption because more than half of the conscripts end up as servants in the houses of senior officers or in military cooperative shops."!!! No ruling group should be imposing its preferred religion on all the other groups, or announcing what is and isn’t blasphemy. No religion or religious group should be persecuted. Note that Netiwit Chotiphatphaisal is one of the 7 Thai pro-democracy activists accused of sedition for calling for elections and drawing attention to Deputy Dictator Prawit Wongsuwan's expensive watches scandal. The outside world sees that he is a remarkable man who is being persecuted for spreading democratic values, including as a former Student Council President of Chulalongkorn University. After the Cold War came to an end, countries neighboring Thailand were all administered according to the communist system. Thailand never fell under communism, and this is because it received assistance from America for almost the 50 years over which the world received proof that the communist system only makes the people poor and not able to develop on a level with the free world. This path they can see through comparison with the surrounding neighboring countries. They can see the difference clearly. Thailand these days almost isn't developing upwards at all. In the period past, Thailand’s neighbors looked at Thailand as a heaven and refugees from many, many different countries tried of escape here, depending on Thailand, in order to proceed to a third country. When the cult of communism collapsed, Thailand could develop faster than its neighboring countries. Confusion in Thai politics still influenced the progress of the lives of people for many many additional millions of people. This is because the administration of Thailand has a secret state administration. It has an administration like a pretend democracy: Thai democracy with a king as head of state. The center of power will peak with the king, just that one person. Still many, many of the Thai people may not understand the actual system of administration. Throughout the times past, the system of the monarchy created a great image and had a huge role and influence over the people’s existence. The institution of the monarchy was esteemed so that it was higher than every side or party. An image was created so [the king] was almost a god, having so much honor and privilege. The king can do anything, and there is no wrong for which a charge can be brought [against him]. The king is likely to do whatever [he wants] all the time. There aren’t that many people who begin to understand where the deep roots of Thailand’s real problem totally comes from. In the bloody events of October 1973 nobody could understood the truth of the real killer behind the massacre of the crowd of students, causing all kinds of evil difficulty, in the end creating the image that the students are stirring up rebellion, accusing them of being communists and secretly assembling weapons in order to join with the communists. The life of the youth, the future of the nation, must come to an end at the hands of the people who thirst for power. Coups are not the way out of the problems that the country must face. Coups are an evil which the king is behind every time, and he signs the law that makes it into something legitimate. King Bhumipol ordered the coups in order to prevent decentralizing power to the people and to control all the power himself. The last coup was the most evil in history. It preceded a serious violation of human rights. The people who came out to oppose [the coup] where unable to do anything, whether eat a sandwich, read a book, or gather in groups larger than 5. They weren’t able to express any opinions at all in any sort of social situation, not even to make a comment on the different social media. 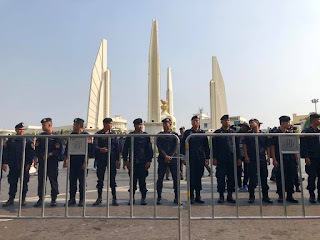 They are suppressed using Article 112 (of the Thai Criminal Code), Article 44 (of the Interim Constitution), all of which were barbarous prohibitions totally lacking in humanity. There were a great number of innocent people that fell victim to it, were caught, and imprisoned without being guilty of anything.